More new development is coming to one of Palm Beach County’s hottest cities. 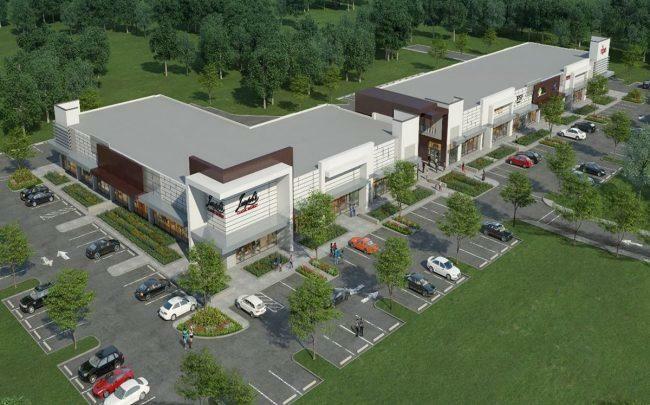 Banyan Development is building “Shop Delray,” a 34,000-square-foot retail development at the corner of Lyons Road and West Atlantic Avenue. The project is expected to be completed in June, and nine of the 11 retail slots are already leased, according to the Palm Beach Post. It sits next to the Delray Marketplace, a 250,000-square-foot dining and shopping facility that opened in 2013. The development will include two upscale restaurants and Joseph’s Classic Market, a gourmet Italian food market, the Palm Beach Post reported. Other tenants will include MattressXperts, Breakroom Men’s Salon & Spa, Nekter Juice Bar, Forward Thinking, Tipsy Nailbar and Salon, a Re/Max real estate office and Ripe, an organic health food store. Delray Beach is seeing a rush of new development due to its walkable downtown and rising prices in nearby Fort Lauderdale and West Palm Beach.